Candidates have to register online through NBE website www.natboard.edu.in. Candidates required have to scanned copy of his/her photograph and upload a scanned copy of his/her photograph on the online application.Application fee payment demand draft in favour of " National Board of Examination NEW DELHI". Qualification : Diploma in Chemical/Petro-Chemical Engineering and Diploma in Instrumentation & Control Engineering . Interested candidates are required to bring all documents along with photocopies with regard to age , qualification ,experience, last salary slip . Candidates should have bring documents such like, identity proof, one passport size photograph and latest resume on the day of Interview. Candidates should have type written applications with complete bio-data along with copies of mark lists degree certificate should reach : Director , Defence Electronics Research Laboratory , Post- Chandrayan Gutta Lines, Hyderabad- 500005. Affix a recent passport size photographs on the right corner of the first page of application. Send a crossed Indian Postal Order of Rs.10/- drawn in favour of Director, Defence Electronics Research Laboratory ,Post- Chandrayan Gutta Lines, Hyderabad- 500005. along with the application. Educational Qualification: Graduate from any recognized university. Candidates should be computer literate and able to speak Hindi & English for Clerk post and Post Graduates in any discipline (Excluding PG Diplomas) or Graduates in Engineering or Agricultural Sciences or Law for Officers post. How to Apply: Candidates can submit the applications only through online mode from the Karnataka Bank’s website only between 01-03-2013 to 15-03-2013.Candidates should take the print out of the system generated application form after online submission and retain it to be produced if called for Personal Interview. 1. Log on to www.karnatakabank.com and select the ‘Careers’ link to start the Online Application process. 3. Candidates must select the ‘Apply Online’ link to apply. Pay Scale: Rs.17240-840(14)-29000-910-(4)-32640 and other admissible allowances like DA, HRA, CCA, etc. Application Fees: Rs. 500/- as Processing and Examination fees. (Rupees Five Hundred Only) by means of an A/c Payee Demand Draft in favour of “GENERAL INSURANCE CORPORATION OF INDIA”, payable at Mumbai, which is not refundable. Selection Procedure : Selection will be on the basis of shortlisting of the candidates based on Written Test and performance in Group Discussion and interview. Candidates can apply online through website http://gic.eadmissions.net.Online submission of the applications will be allowed on the website between 1st March 2013 to 31st March 2013. 5.A soft copy of recent (not more than 1 month old) colour passport size photograph of the full face (front view) with the file size not more than 50 kb. STEP 2: Click on “Advertisement ” to view the full details before applying . STEP 3: Click on "Apply Online"
STEP 4:a) Photograph must be recent passport size photograph. b) The picture should be in colour, against a light coloured, preferably white background. Circus Avenue Post Office, KOLKATA – 700 017. STEP 9:Print the admit card with photo and carry the ADMIT CARD to the examination centre on the date and time indicated therein. Photograph affixed on the registration slip and admit card, should be the same. Qualification : ITI passed with NCVT with Matriculation. Qualification : Degree in Civil Engineering,Master’s Degree,Post Graduate Degree,Higher Secondary,B.Sc in Chemistry. Application Fees: Rs. 50/- (Rupees fifty only). 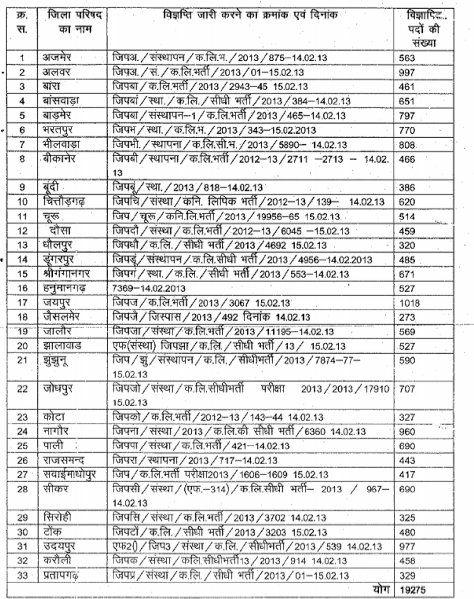 Applications separately for different categories of posts must be submitted in the form published along with the advertisement in the Employment News/Rozgar Samachar of 23.02.2013. 1. One recent passport size photograph should be pasted (NOT STAPLED) on the space provided in application form. Another copy of the same photo should be retained by the candidate for use at the subsequent stage of recruitment. 2.One self-addressed postcard duly affixed with an additional Rs. 6/- postage stamp. The candidate must indicate the name of the post, category number, and Advt. No. on the postcard. 3.Two self-addressed envelopes of 10 cms X 22 cms size and one of these should be affixed with postage stamps worth Rs. 8/-. 4.Two slips indicating name and postal address of the candidate. 5.Attested/self-attested copies of certificates in the format as prescribed in this advertisement, in favour of claim of belonging to SC/ST/OBC/OH/HH/VH/EXS community/ category. 6.Attested/self-attested copies of certificates showing age and educational qualifications. 7.Attested copies of experience certificates. Age Limit: Candidates age must be 30 years for Engineering Assistant posts & between 18 to 25 years for Technician posts as on 01-01-2013. 1. First Candidates have to scan their Photograph and signature for filling up of Part – II Registration. 5. The filling of online application contains two parts: Part – I & II. 7. Now Press “I agree” button after declaration correction/modification etc. shall not be allowed. Qualification : Matriculation with ITI Certificate (OR) Diploma in Medical/Pharmaceutical/Lab Technology or equivalent. Age Limit: Candidates age should be 35 years as on 21-02-2013, 40 years in case of SC/ ST candidates and 38 years for OBC candidates for Research Scientist post, age limit should be between 18-30 years as on 21-02-2013 for JRF post. Educational Qualifications: Candidates should possess M.E/ M.Tech or its equivalent degree should be in first class with an aggregate minimum of 60% of CGPA/ CPI grading of 6.5 ona scale or equivalent and pre-eligibility qualification for ME/ M.Tech or its equivalent should also be in first class with an aggregate of 65% (average of all semesters) or CGPA/ CPI grading of 6.5 on a 10 scald or equivalent. B.E/ B.Tech/ M.Sc/ M.A degree should be in first class with an aggregate minimum of 65% (average of all semesters) of CGPA/ CPI grading of 6.5 on a scale or equivalent. Refer the notifications for educational qualification details for both the posts. ADVERTISEMENT NO. NESAC/01/2013 dated 21.02.2013 Candidates are advised to send their applications by registered post/speed post on their own interest. Applications to be supported by “No Objection Certificate” from the employer concerned, by those already in employment under Central/State Government, Public Sector Undertakings or Autonomous Bodies, duly indicating the name on the reverse of the NOC and the same may be sent to Administrative Officer, NESAC, Umiam-793103, Meghalaya. Pay Scale: Rs 12000-16500/- (pre-revised) or 10 years regular service in the Pay scale of Rs.10000-15200/- (pre-revised). 2.The prescribed qualification is minimum and the mere fact that a candidate possesses the same will not entitle him/her to be called for interview. should apply only through proper channel for appointment on Direct Recruitment / Deputation. Interested candidates are requested to send their applications by registered post /speed post only (in the prescribed form downloaded from Council website: www.tifac.org.in), complete in all respect to Manager (Estt. & Admn. ), Technology Information, Forecasting & Assessment Council (TIFAC), A-Wing, Vishwakarma Bhawan, Shaheed Jeet Singh Marg, New Delhi – 110 016 latest by 15.03.2013. The envelope must be superscribed with the name of the post on top of the envelope. Application Fees: Demand Draft for Rs 500/- in favour of Finance Officer, MGAHV payable at Wardha from any Nationalized Bank for General/OBC Category.No fee is to be paid by the SC/ST/Physically handicapped & Women candidates and in service candidates of MGAHV, Wardha. Applicants will be required to enclose attested copies of the certificates of their educational qualifications, experience etc.Applicants shall apply on the prescribed application form of this University only, which is available on University website www.hindivishwa.org.The Application should be sent to the Deputy Registrar (Establishment), Mahatma Gandhi Antarrashtriya Hindi Vishwavidyalaya, Post- Hindi Vishwavidyalaya, Gandhi Hill, Wardha- 442005 (Maharashtra) by Speed-Post or Registered Post. The application received after last date, incomplete application, not duly singed, not enclosed prescribed fee, not enclosed attested copies of the certificates/educational qualification/experience and not in prescribed preform will not be considered. Applicant must write the post name & post code on envelope. Qualifications: Candidates should have first or high second class B.Sc. and M.Sc. Degree in Physics with minimum of 55% marks in B.Sc.(Hons.) and M.Sc. examination. Candidates must qualify in NET (CSIR/UGC/LS) or GATE examination . Age limit : 28 years on the date of application. Age relaxation is applicable as per Govt. rule. Age Limit: 20 years to 35 years for posts 1 to 7, 21 years to 40 years for post 8, 21 years to 30 years for post 9, 21 years to 21 years for post 10 & 11, 21 years to 37 years for post 12 & 13 and 25 years to 40 years for post 14 as on 01-02-2013. Application Fee: Candidates should pay the application fee of Rs.100/- for all others & Rs.20/- for SC/ ST/ PWD/ EXSM candidates through CBS at any of the Branches of Canara Bank through the Challan form downloaded from the website or by NEFT from any other Bank to the Name of the Account: Canara Bank Recruitment Project – 1/2013, Account Number: 1173201002323, Payee Bank: Canara Bank, South End Road Branch, Bangalore, IFSC Code: CNRB0001173. Candidates applying for Post 1 to 8 should mention their Registration Number & Candidates applying for Post 9 to 14 should mention their Name. How to Apply: Candidates may apply online through the Bank’s Website www.canarabank.com from 25-02-2013 to 06-03-2013. After submission of online application candidates should take the print of system generated application form. 5. Click on the link “Careers/ Recruitment” and click on the link “Recruitment Project – 1/ 2013” and click ‘Apply Online’. 8. Click on ‘submit’ button to submit the application. 4. Click on the link “Careers/ Recruitment” and click on the link “Recruitment Project – 1/ 2013” and apply for the concerned post. Qualifications: Candidates should possess Matriculation as minimum qualification. Age Limit: Candidates age limit should be between 18-25 years as on 01-08-2013. Age relaxation will be applicable as per the rules. Selection Process: Candidates will be selected based on the performance in Physical Test, Written Test / Interview. How to Apply: Eligible candidates may send their applications in a prescribed format along with the photocopies of matriculation certificates, proof of age, caste certificates attested by gazetted officer and latest colourd photograph (pasted on the application) along with two self addressed envelopes duly affixed with postage stamps of Rs.25/- , by super scribe the envelope as ‘Application for the post of industrial Mazdoor’, to officer commanding , 452 company army service corps (supply) type ‘A’ pin-90542, c/o APO on or before 15-03-2013.